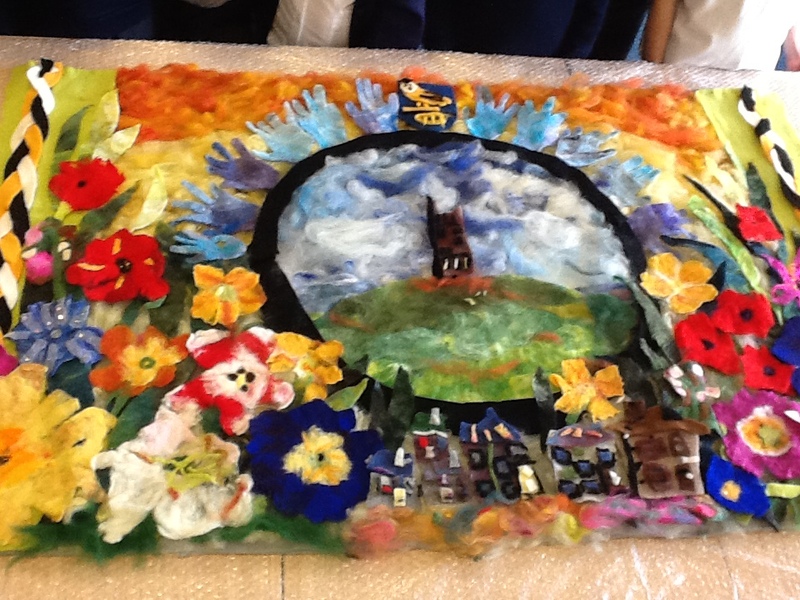 Join in a fabulous felting workshop with Textile Artist Sue Clay at Mytholmbridge Art Studio in Thongsbridge, Holmfirth. Spend a day getting in touch with your creative side! 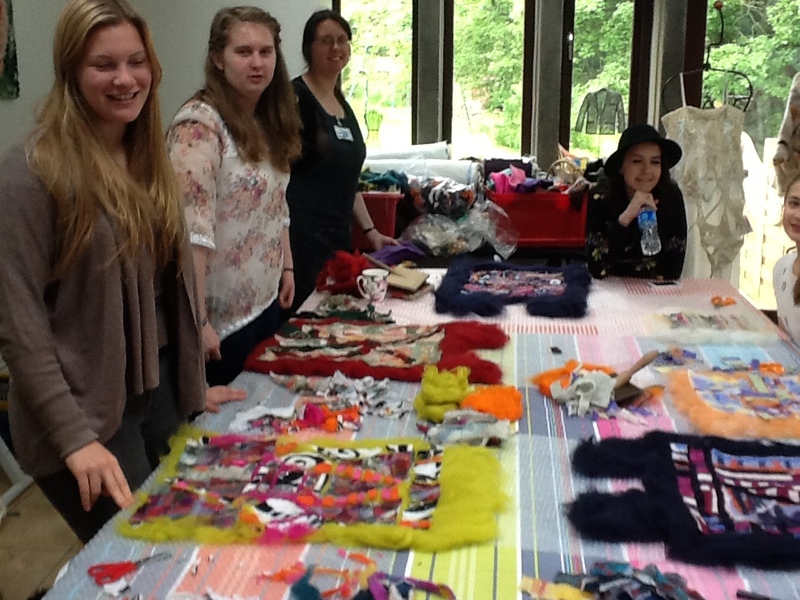 Workshops are from 10-4pm with a delicious lunch and all your materials included. You’ll also walk away with your unique piece of felt art. Saturday 1st September – Make a wallhanging using subtle blends of colours. 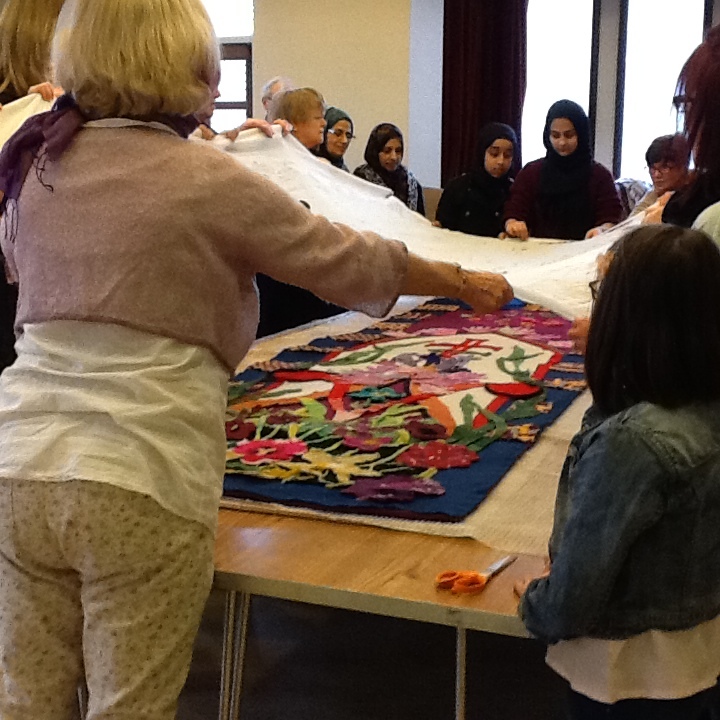 Sunday 2nd September – Design and create a bag using the resist method. Saturday 3rd November – Create a local landscape studying colour, design and texture. Workshops cost £65.00 a day per person, this includes tuition, all your materials and a lovely 2 course hot lunch in Sue’s dining room. Please book in advance by calling Sue on 01484 686642. Cheques can be made payable to Sue Clay. Bring a friend and only pay £60 each! 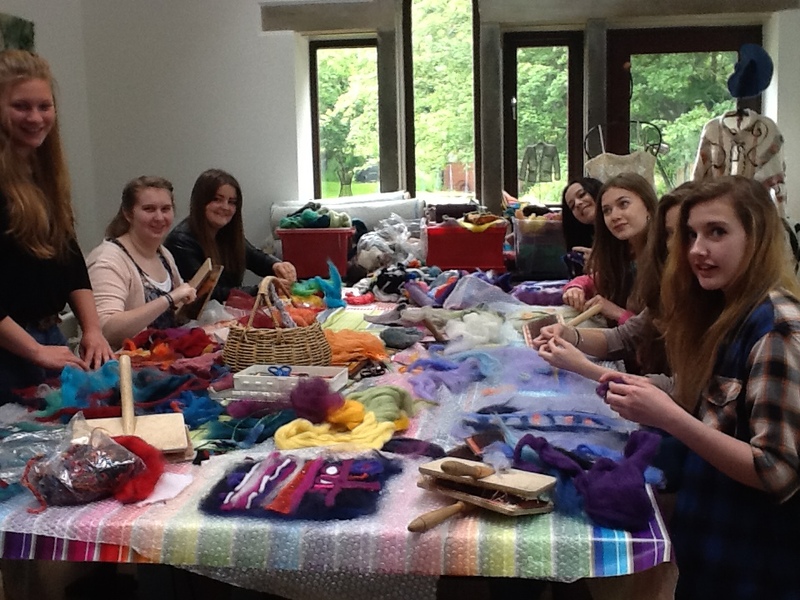 WHY NOT HAVE A FELT-MAKING HEN OR BIRTHDAY PARTY WITH A DIFFERENCE? are just £12 per head for children and £18 per head for adults. The minimum group number is 10 children or 7 adults. Workshops can take place at Mytholmbridge Art Studio on Luke Lane, Holmfirth, or Sue will bring a workshop to you if you have the space! Book now on 01484 686642. If you would like to have a special workshop for a few family, friends, or as a group from another guild, Sue can organise bespoke workshops, talks and/or demonstrations. Contact Sue on 01484 686642. Freelance tutor, Sue runs workshops for schools throughout the country. 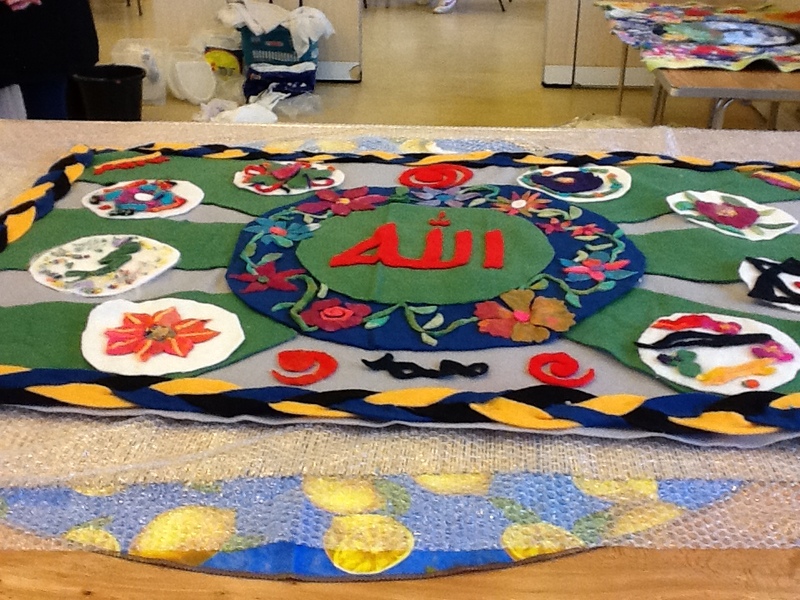 The children can create their own part of a collaborative project – like a wall hanging – on different themes. They learn new skills and have lots of fun! 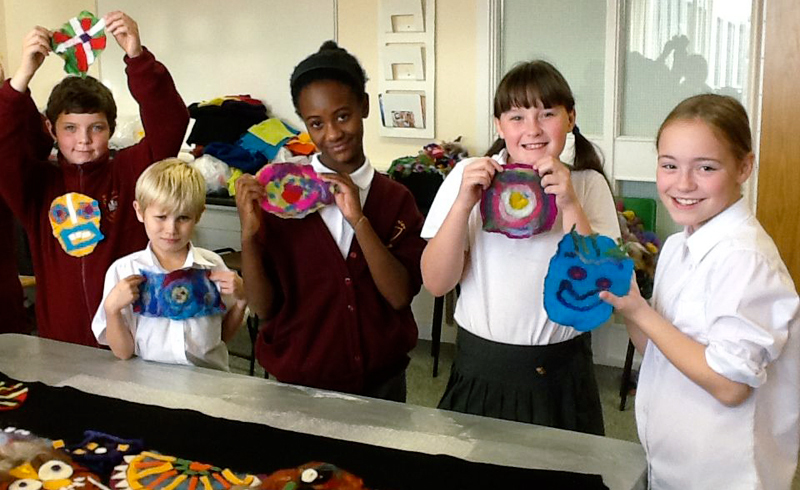 Take a look in the gallery for more pictures of school workshops and the impressive pieces of art the children create. 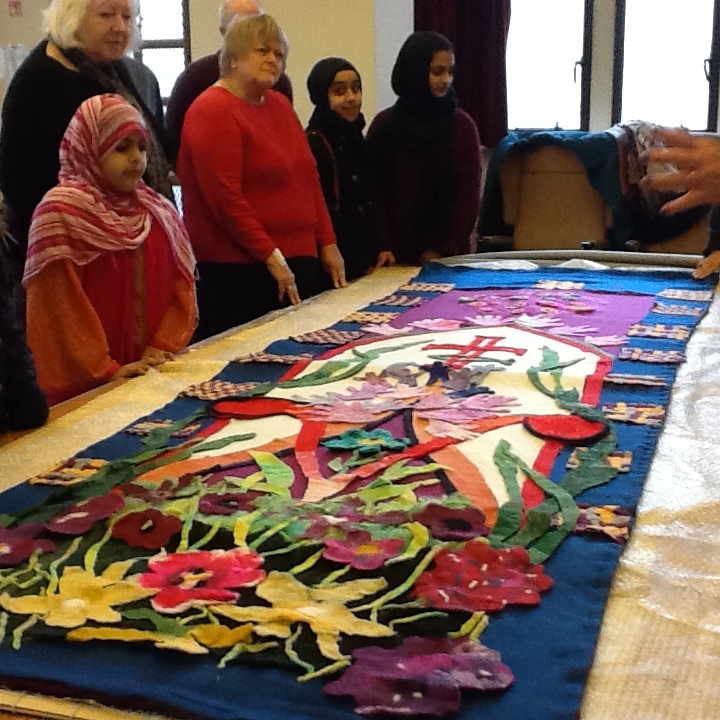 Get in touch with Sue on 01484 686642 to book a school workshop. 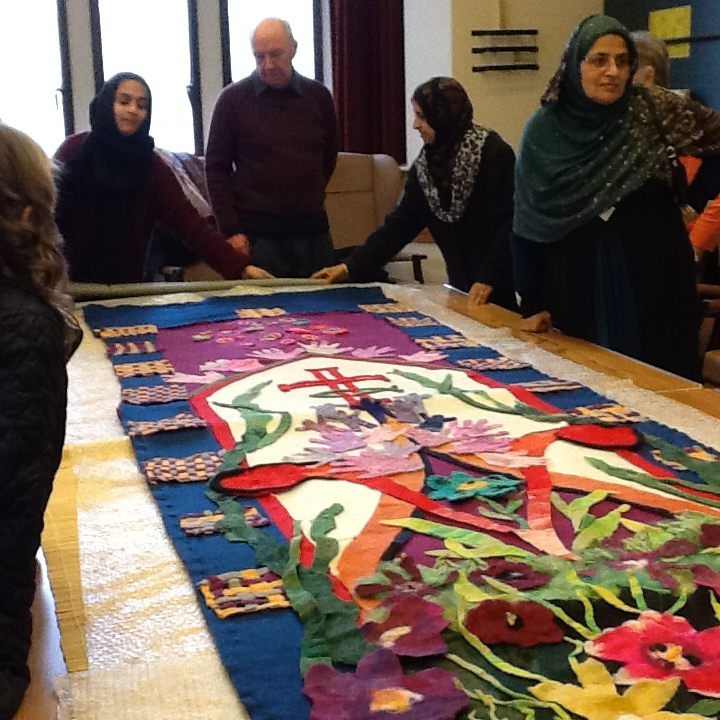 Sue works in all places of education and community centres. She creates large collaborative wall hangings or individual pieces for participants to take home. Sue’s Workshops are full of fun and colour! Had a great day well worth the money ,made new friends and had a fabulous lunch,nothing was to much trouble,beautiful surrounding ,pleased with my wall hanging and have it hung in my hall and everyone who has seen it thinks it’s fabulous,thanks sue to you and your husband for a brilliant experience,will definitely come again..